Kristina Aiad-Toss joined IPM in January 2019 as a Graduate Student Intern. Kristina is currently attending law school at Case Western Reserve University with a focus on international humanitarian law. As a law student, Kristina participates in the Vis International Commercial Arbitration Moot Court Team, does human rights research for the Yemen Accountability Project, and volunteers on an anti-human trafficking task force. While in undergrad, Kristina has lived abroad in 3 countries: studying abroad in Spain over the summer, interning under a member of parliament in Toronto, and working for the Department of State in Rome. Kristina has also worked in political advocacy, environmental issues, immigration services, event planning, and journalism. Although Kristina studying law, she also has a photography business on the side. 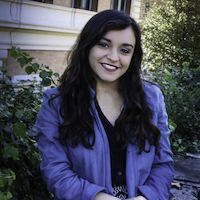 Kristina hopes to obtain a career in international economic development. 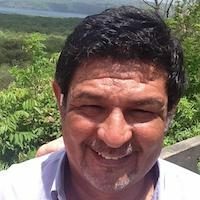 Pablo Martin Castro has worked with IPM for more than four years as a Logistics Coordinator for all IPM Immersion Experience Programs in Nicaragua. He has a long history of accompanying delegations, particularly throughout the Xavier University Nicaragua Program. He is married and the father of three. Himmat was born in Dalit family in Golana, India. His father, Pochabhai Chauhan, a social activist for Dalit and cast system justice, was killed during the Golana massacre in 1986. Pochabhai’s widow, Daniben, with the support of her two sons, Himmutbhai and Rameshbhai, founded the Pochabhai Foundation to carry on the work of Pochabhai. The mission of the Pochabhai Foundation is to advocate for gender and caste equality. They perform rural development and social mobilization activities in their region, forming youth groups, providing education in life skills, and raising awareness about government schemes and benefits available for Dalits. They also work on environmental and water issues in the community with the support of like-minded individuals and social professionals. Their aim is to fight for rights of education, health, caste and gender equality, freedom, and employment, to create a peaceful and respectful society for all. Himmat joined IPM as a South Asia Fellow in 2016. His efforts directly supports IPM Project Partners and Community Partners in Ahmedabad, Delhi, Gujarat, Nagercoil and other Community Partners in Himmat’s network. As a fellow, Himmat is involved in coaching, mentoring, and empowering leaders so that they can support the formation of community organizations increasing the collective strength of initiatives that work in favor of the poor and disadvantaged. The project emphasis is on training and mobilizing communities to access resources within their own countries for development and related projects. 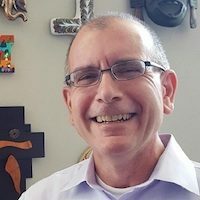 As Chief Executive Officer of IPM, Joe provides the strategic vision, leadership, and supervision of all activities, programs and staff of this interfaith, international, non-governmental organization with offices in El Salvador, India, Kenya, and the USA. Joe began his work with IPM in June of 2001 and IPM has quintupled in size during his tenure. Before working for IPM, Joe served as the Vice President of Capital, Endowment, and Philanthropic Programs at The Catholic Diocese of Cleveland Foundation (1997-2001). From 1990-1997, Joe lived in Rome, Italy where he pursued a Ph.D. at the Gregorian University and worked with a variety of organizations. Joe was a Research Assistant in the Department of Programmes at Caritas Internationalis (1990-1992); the Director of the Joined Hands Refugee Center (1991-1995), where he served as an IPM Project Coordinator; and, as Associate Director of the International Office for Justice, Peace, &amp; Integrity of Creation of the Franciscan Friars Minor (1995-1997). 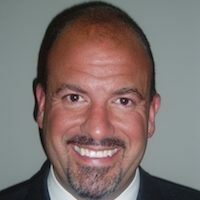 Joe holds degrees from the College of the Holy Cross (Worcester, MA) and Yale University (New Haven, CT), an Executive Education Certificate in Non-Profit Management from Case Western Reserve University (Cleveland, OH), and a Doctorate of Ministry Degree from Eden Theological Seminary (Saint Louis, MO). 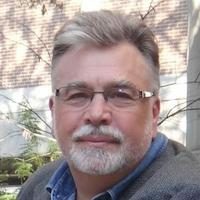 Joe serves on a number of international and national Boards, has lectured and/or taught at leading academic institutions around the world, and was a member of the charter class of Cleveland Bridge Builders (2001). He is also the recipient of the Sanctae Crucis Award from Holy Cross (Worcester, MA), the highest non-degree recognition bestowed by the College on an alumna/us, and a special Founders Award from Gilmour Academy (Gates Mills, OH). Joe is married to Alyne Kemunto Cistone and the proud father of Francesca, JJ, and Kemy. Ilze joined the IPM staff in June of 2006 and assumed her current position as Senior Director of Constituent Relations & Executive Assistant to the CEO in August 2016. Ilze is a member of the organization’s leadership team with primary responsibility for managing all aspects of IPM’s Annual Giving programs and supports the Chief Executive Officer in the promotion of IPM and management of donor & constituent relations, including work with IPM’s International Executive Board and Working Groups. 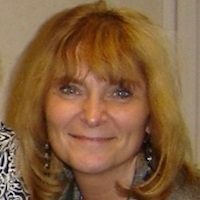 Ilze has more than three decades of experience in non-profit administration and resource development working with nonprofit social service, education, and healthcare environments. 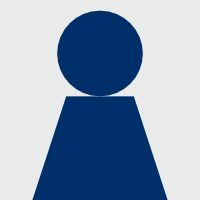 Prior to IPM, Ilze worked at the Center for Community Service at John Carroll University, Villa Angela-St. Joseph High School, Bellflower Center for Prevention of Child Abuse and St. Vincent Charity Hospital. Ilze holds a Bachelor’s degree in Business Administration from Baldwin-Wallace University with major concentrations in Finance and Management. Doug joined the IPM staff as Director of Accounting in 2016. In the accounting profession since 1987, he held various Controllership positions working for manufacturing and service providing companies. 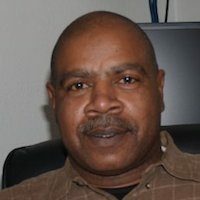 In 1996, started Doug started his own accounting/bookkeeping business, Accountable Accounting, Inc. During his years in business, he has been blessed to work with many manufacturing businesses, service providing businesses, and not for profit organizations. 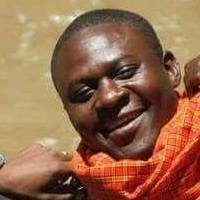 Jared joined IPM in 2004 and is a consultant providing logistical support to the IPM Immersion Experience Program in Sub-Saharan Africa specifically in Kenya and Tanzania. He has vast experience in providing logistical support including transportation, accommodations, interpreting and cultural understanding. Jared has completed several computer courses at the Computer Pride Training Center and obtained an ICDL (International Computer Driving License) certificate. Jared also has completed a certificate program in Tour Guiding and Security Awareness. Jared lives in Nairobi with his spouse and three children. 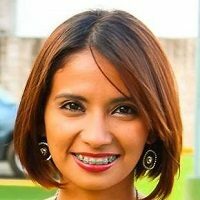 Fatima graduated from the School of Social Science at the University of El Salvador with a degree in sociology. She studied two academic semesters at Murray State University in Murray, Kentucky. Her thesis focus was in Symbolic Violence against student women in San Salvador. In addition, she has a post-graduate diploma in Statistical Research Support at Universidad Centroamerica Jose Simeon Cañas (UCA). Fatima has participated in several meetings and workshops around Latin America, like the Latin American meeting of Childhood and Adolescence “The Importance of Investing in Children” Santiago de Chile, 2007”; The Mesoamerican Youth Meeting, Guatemala 2009; Youth Pre-Conference of the Americas, Salvador-Bahia, Brazil 2010; and the World Youth Conference, Mexico 2010. Fatima believes a better world can be possible if people around the world are of social awareness, creatives and respectful. Promoting positive thinking, commitment, determination, communication and passion for justice and peace. Through her work at IPM in the past two years, Fatima has supported the wide range of IPM’s Project Partners work with women’s cooperatives and education programs. Selina Marie Pagán is a young Latinx professional, born and raised in the city of Cleveland. Ms. Pagán started her career at the Northeast Ohio Hispanic Center for Economic Development in 2014. 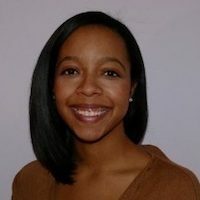 She graduated from Cleveland State University from her undergraduate studies in Economic Development and Urban Studies Public Management in 2018. Ms. Pagán has led grassroots efforts in the Latinx community of Northeast Ohio. She has coordinated networking event for entrepreneurs, convened local artists, and hosted a number of community events that range from cultural festivals to community street clean-ups. She was elected as the President of the Young Latino Network in the fall of 2017. 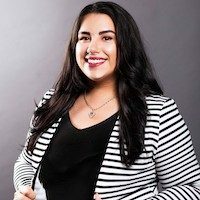 She continues to fight for young Latinx professionals day to day and continues to work collaboratively with the many Latinx social serving agencies and allies throughout northeast Ohio. 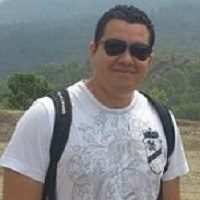 Johnny Portillo handles logistics and travel for IPM’s El Salvador Office. 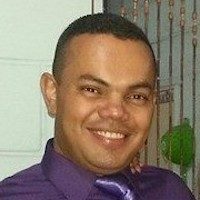 He has been with IPM since 2010. when he began providing transport services to IPM’s Immersion Experience delegations. He is married and the proud father of a son. Carlos Quijada has worked with IPM for more than five years accompanying and driving for IPM’s Regional Office. He supports frequent visits to IPM Project Partners in El Salvador, and Immersion Experience Program trips. Carlos is married and the proud father of one boy and one girl. 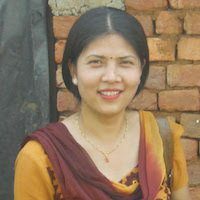 Soni began working with IPM Project Partner OUEST (NEPAL) in 1998. 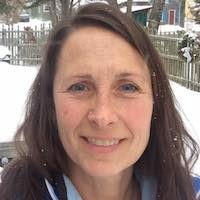 After OUEST changed leadership in 2011, she transitioned to working as an Office Assistant and Mediator for the IPM Project Partner, Calendar Program with the Social Work Institute (SWI), to communicate messages between IPM, SWI & local women groups. Soni has an MBS (Master in Business Study) from Shanker Dev College and an MBA, RD (Master in Rural Development and Humanities) from Tri-Chandra College. She most recently attended short-term training programs organized by SWI focusing on participatory management, skill development, and women empowerment training. 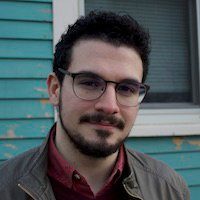 A graduate of College of the Atlantic in Bar Harbor, Maine, U.S.A. Zachary began working with IPM in late 2018 to assist with the ongoing renovation of the organization’s online presence. 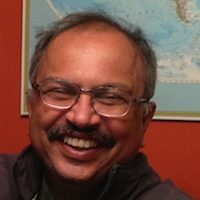 Mahesh Upadhyaya lives in Ahmedabad, India. Mahesh has a diverse educational background; he has studied biochemistry, social management, advocacy, and organization and system development, both in India and in the United States. He currently serves as Director of the Solidarity Center in India and is an organizational development consultant to new and emerging human rights and development groups. 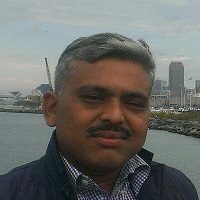 Mahesh has been IPM’s Regional Consultant for the Indian Sub-Continent since 2005 and was elected to the Board in 2006. He joined the IPM Staff in 2009, and currently, serves as Regional Director for South Asia. Adela studied her Psychology Major at Universidad Centroamericana José Simeón Cañas (UCA). She has been evolved in different social movements during her educational process, including projects related to environmental consciousness and conservation, community development, gender equality and women empowerment. Adela is passionate about working with women and youth, in the past, she worked for TECHO, a non-governmental organization, as the coordinator for the Youth Leadership Program, focusing on Human Rights inside urban and rural communities in El Salvador. She also has been leading a project call “Artesanas del Mar”, supporting the personal and economic development of young women of a community located in La Paz, El Salvador, through a micro-enterprise initiative. 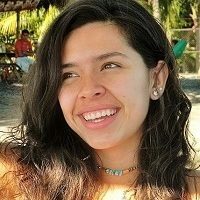 She is now a member of the IPM staff, coordinating Immersion Experience Program in the Latin America and Caribbean region and supporting local Project Partners. She is very happy to work with IPM because she shares its work philosophy and ideology. 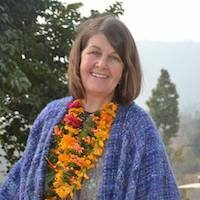 She believes in people’s capacity to connect with each other, despite their different experiences through life, and how the union of these souls allows the creation of a solidarity network that can transform a shared reality.